Russia and India are expected to sign a deal on Saturday for the delivery of an advanced air defence system to Delhi, a Kremlin official has said. The S-400 missiles are Moscow’s most sophisticated aircraft defence system.Yuri Ushakov said the agreement would be signed at a summit in Goa where President Vladimir Putin will hold talks with Indian PM Narendra Modi. India is also hosting a Brics summit in Goa this weekend involving Brazil, Russia, India, China and South Africa. “An agreement on the delivery of S-400 ‘Triumph’ anti-missile defence systems and other deals will be signed as a result of the talks,” Russian news agencies quoted Mr Ushakov as saying. The Kremlin earlier this week said the talks with Mr Modi would focus on “a wide range of matters of bilateral relations, especially trade and economic ties”. The S-400 surface-to-air missiles have been deployed to Syria, where Russian forces have been operating in support of the government of President Bashar al-Assad.Russia and India were close allies during the Cold War, but recently the relationship has become more complex.Talks have been held annually since 2000 and hosted alternately by Moscow and Delhi. The 15-odd students, aged between 10 and 14, were stunned. Their school had asked them to leave early because the situation was tense, with violence and arson breaking out in many parts of the city. “Luckily the driver handled it tactfully. He told the intruders that everyone was a native of Bangalore and that their families supported Karnataka on [water sharing with] Cauvery,” said a parent, not wanting to be identified. By dusk, dark smoke had filled the Bangalore skies. Some 35 buses had been set on fire by protesters, just because the buses belonged to a travel agency whose owner is Tamil. India to ‘divert rivers’ to tackle droughtEarlier this month India’s Supreme Court ruled that Karnataka must release 12,000 cubic feet of water per second to Tamil Nadu from the Cauvery river until 20 September. Both states say they urgently need the water for irrigation and a battle about access to it has raged for decades. The Cauvery originates in Karnataka and flows through Tamil Nadu before joining the Bay of Bengal. The dispute over its waters originated in the 19th Century during the British rule between the then Madras presidency (modern day Tamil Nadu) and the province of Mysore (now Karnataka). Karnataka and Tamil Nadu have both argued that they need the water for millions of farmers in the region. The Cauvery river water tribunal was set up in 1990 after the failure of several rounds of talks between the two states. Dozens of meetings have been held to find a settlement to the century-old dispute. In 2007, the tribunal ruled Tamil Nadu state would get 419bn cubic feet of water a year. Karnataka would get only 270bn. Karnataka says water levels in the Cauvery have declined because of insufficient rainfall – 42% of the 3,598 irrigation tanks in the state are dry – and that it cannot therefore share water with Tamil Nadu. So Tamil Nadu went to the top court demanding 50,000 cubic feet of water per second. When the Supreme Court on 2 September asked Karnataka to “live and let live”, the state softened and offered to release 10,000 cubic feet of water per second to Tamil Nadu every day for five days. On 5 September however, the top court ordered Karnataka to release 15,000 cubic feet of water per second for 10 days. This ruling was later modified to 12,000 cubic feet of water per second until 20 September. This would mean that nearly a quarter of the water now available in the Cauvery basin will flow into Tamil Nadu. Tamil Nadu says it badly needs the river water for irrigation. Drought-hit Karnataka argues that most of the river water is now needed for drinking water supplies in Bangalore and some other cities, leaving no water for irrigation at all. But even farmers in Tamil Nadu are unhappy with their share.P Ayyakannu, president of the local South Indian Rivers Interlinking Farmers Association, called it “akin to giving pigeon feed to an elephant”. Rising violenceFeeling let down by the top court’s order, Karnataka is boiling. The main city of Bangalore is the worst affected: the violence in the technology hub forced the closure of many offices and much of the public transport system. Police have imposed an emergency law that prohibits public gatherings, and more than 15,000 officers have been deployed across the city. One person was killed when police opened fire on protesters on Monday evening. Buses and trucks bearing Tamil Nadu number plates have been attacked and set on fire. Schools and colleges are closing early and many businesses are shut. A group of activists belonging to a fringe pro-Karnataka group assaulted an engineering student because he had ridiculed Kannada film stars for supporting the strike on Friday, by posting memes on Facebook. The student was hunted down and forced to apologise. Across the border, in Tamil Nadu, petrol bombs were hurled at a popular restaurant owned by a resident of Karnataka in Chennai while the driver of a vehicle with Karnataka number plates was slapped and ordered to say “Cauvery belongs to Tamil Nadu”. The latest violence brings back memories of the anti-Tamil riots in Bangalore in 1991 over the same issue. Then, some 200,000 Tamils were reported to have left the city, after incidents of violence and arson targeting them. There was a proposal in 2013 to set up a panel comprising representatives from the two warring states to resolve disputes over river water sharing. But successive governments have dragged their feet on this, and the two leaders – Karnataka chief minister Siddaramaiah and his counterpart in Tamil Nadu, Jayaram Jayalalitha – have not reached out to each other to resolve the crisis. And with Delhi reduced to being a reluctant referee, the onus has fallen on the Supreme Court to crack the whip. German state-owned bank KfW Group will spend 1 billion euros ($1.2 billion) to refurbish India’s electricity network for carrying more renewable energy from sources such as solar and wind. KfW agreed to loan Power Grid Corp of India Ltd. 500 million euros to build new power lines and signed deals with India’s government for two loans totaling 125 million euros for grid projects in Rajasthan and Tamil Nadu, it said today in an e-mailed statement. The deals are part of a support package of 1 billion euros, it said. via India Power Lines to Get $1.2 Billion German Revamp With KfW – Businessweek. Prime Minister Narendra Modi is seeking to turn India into a global manufacturing hub by curbing red tape. Tell that to Tata Steel Ltd. (TATA), which closed one of its largest iron-ore mines in September over permit delays. India’s largest maker of the alloy isn’t alone. Steel Authority of India Ltd. (SAIL) shut one of its top-yielding quarries the same month pending renewal of its lease. JSW Steel Ltd. (JSTL)’s plan to start mining in eastern Jharkhand state has been hampered by a probe begun last month into mine allocations. Modi is set to trumpet his “Make in India” initiative at the Group of 20 summit in Australia this week as he vies with China to woo manufacturers. The mine closures show lingering bureaucratic obstacles to his push, stemming from court rulings and officials in India’s 29 states that lie beyond Modi’s direct control. India slid two places to 142nd out of 189 economies in the World Bank’s latest ease of doing business rankings. via Modi’s Make in India Push to Take on China Faces Red Tape – Businessweek. Tags: Beira, Bombay Stock Exchange, Calendar year, Coal India, Debt, India, Jindal Steel and Power, JSW Steel Ltd, Karnataka, Mozambique, Narendra Modi, Steel Authority of India Ltd., Tata Steel, Tata Steel Ltd.
Fifty-four percent of Bangalore‘s eligible voters showed up at the polls on April 17, a disappointing number considering the high turnout in some states. I was not among them, but it was not for lack of trying. Despite doing everything correctly, my application never went through. I was 18 the last time India held national elections. Since then, we moved around a lot. I was looking forward to voting this year for the first time. A record number of people are registered to vote in this election, and the country is at a crossroads as it considers whether to kick out the Gandhi-Nehru dynasty and its Congress party in favour of the Bharatiya Janata Party and prime ministerial hopeful Narendra Modi, or perhaps a third front of other parties. I was eager to include my voice in the nation’s decision. I filled out the forms and gave copies to volunteers in the Reuters Bangalore newsroom who submitted the applications to the Election Commission. Voters’ names are supposed to appear on the electoral rolls six weeks after submission. The deadline for applications to reach the Election Commission was March 16. Voting day in the state of Karnataka where I live was April 17. I checked my application status online on April 15 and saw that it was still “under process”. I called the Electoral Registration Officer that day to ask why I wasn’t registered yet. An officer there told me to call my ward office to confirm that it went through because it might not necessarily reflect online. I asked an official at my local area ward office what was happening. He said that if the Election Commission hadn’t processed my application yet, it was probably too late for me to vote. When I asked why this happened, he said that it could be because Election Commission officials either lost my application or didn’t have time to process it. At that point, another worker there said that I should go home and wait for the voting slips that the commission distributes 48 hours before polling. If I didn’t get it, then it was too bad for me. I do not know how many people encountered the same problem, but I know that I am not the only one in Bangalore. Meanwhile, in other cities, including Pune and Mumbai, people found that their names were missing. Ankit Baphna, a 33-year-old IT consultant in Bangalore, also did not find his name on the list. His local ward office wasn’t helpful. 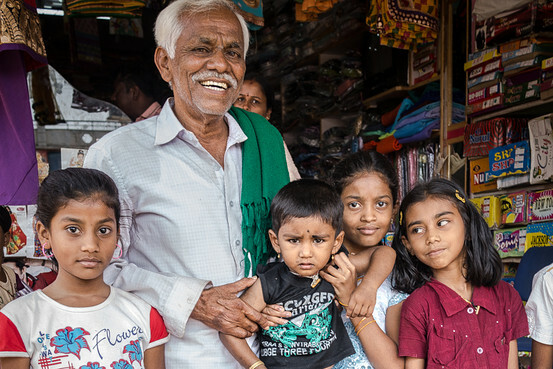 The Bangalore Bruhat Mahanagara Palike, or Bangalore municipal corporation, told him, “you can vote in next elections,” Baphna wrote in a Facebook post. Amulya Nagaraj, a former Reuters reporter who lives in southern Bangalore, found her name struck from the list. “When I asked the reason, they said that these kinds of things happen, that sometimes names are removed from the list,” she said. via They say every vote counts, but mine wasn’t | India Insight. A report in today’s Wall Street Journal probes an important contradiction in the Indian electorate: People say they are fed up with corruption — but will they say it at the ballot box? Political corruption is a defining issue in the national vote, which runs all month. The only issue that tops it is economic growth, according to a survey sponsored by the Lok Foundation. Indians rank political parties as the most corrupt institutions in the country, Transparency International says. The Journal traveled to Karnataka to look at the parliamentary race in Shimoga, where B.S. Yeddyurappa — a seasoned politician who faces corruption allegations — is representing the Bharatiya Janata Party. Mr. Yeddyurappa, who is considered a front-runner in the race, denies the allegations. From interviews with voters in and around Shimoga, two things are clear: Pretty much everyone knows about the allegations against Mr. Yeddyurappa. And pretty much everyone thinks all politicians are corrupt. As a result, many people said they will simply vote for the person who they feel will help him or her the most. “Corruption needs to be eradicated,” said Manjula H.N., a young woman who lives in a village about a half-hour drive into the countryside. But, she said, she is more worried about unemployment. Bottom line: She was leaning toward voting for the BJP. “Yeddyurappa has done more good works” for locals than the other candidates, she said. via On the Fence: Will Indians Actually Vote Against Corruption, or Not? – India Real Time – WSJ. FT: “Oil company Shell’s technology centre in the Indian high-tech hub of Bangalore is actually a facility in two halves, with a couple of campuses in different locations around the city. Originally unable to find one suitable site for its growing efforts, the Anglo-Dutch company decided to split the difference, setting up dual facilities, working on everything from next-generation chemicals to underwater modelling. But now the company plans to bring everything back together, having announced plans late last year to build a giant new research and development campus on a patch of land close to Bangalore’s airport, with room for 1,500 staff, and even plans for a cricket pitch on the grounds. via Companies turn to India to boost their business – FT.com. 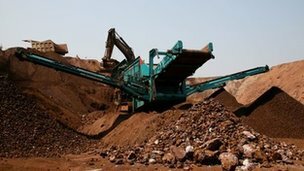 BBC News: “India’s Supreme Court has partially lifted its 16-month-old ban on iron ore mining, allowing some mines to resume work in southern Karnataka state. Companies which had “not violated their lease conditions” could resume mining, the court ruled on Monday. The ban was imposed last year in Bellary, Chitradurga and Tumkur districts over environmental concerns. The order will open up about 5 million tonnes a year of production again, reports say. India is the third largest producer of iron ore in the world and Karnataka, which produces about 45 million tonnes of iron ore per year, is India’s second largest supplier. But mining in the state has been under the spotlight for some time with reports of illegal mining and has become a hot political issue. The Supreme Court order follows recommendations of the court-appointed Central Empowered Committee (CEC). In a report in February, the CEC recommended that licences of as many as 49 iron ore miners in Karnataka should be cancelled. It said 72 other miners should be fined for operating mining pits and burden dumps outside sanctioned areas. “The extent and level of unauthorised, unregulated, environmentally unsustainable and illegal mining in its various facets has no other parallel in the country,” the CEC said it is report. via BBC News – India’s top court allows some iron ore mining to resume.